From a profile view a recessed chin or undefined jawline can be aesthetically un-pleasing. In a world where size 0 and the muscle beach “adonis” is the norm (lucky them!) we are constantly bombarded with well defined chins and jaws in both men and women. We will assess your profile to check whether there is an over or under projection, make an assessment of your bite and critically assess the relative proportions of your face and neck. 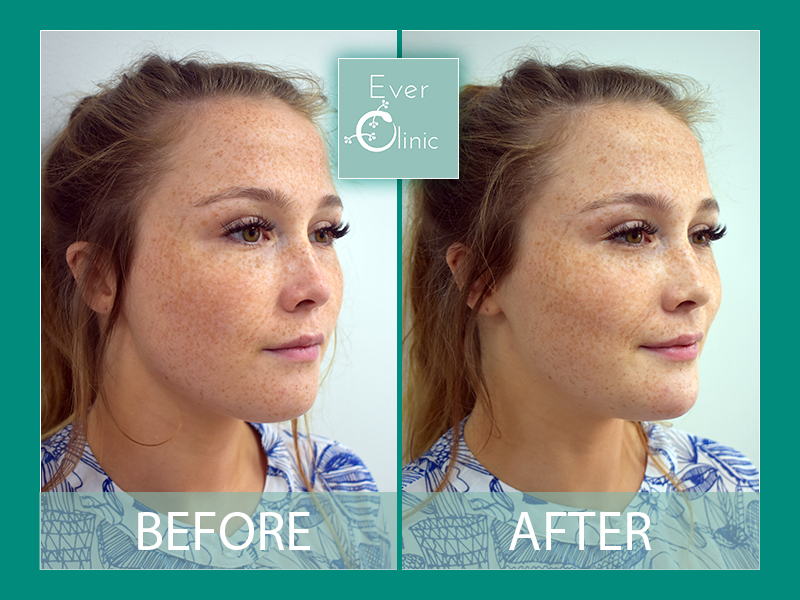 Following a thorough assessment we can advise how to artistically use dermal fillers to restore and enhance your jawline. Dr Cormac may offer the additional option of using non-surgical thread-lifting, adding further benefit to the volume placement with dermal fillers. Again results are instantaneous, with some redness quite possibly present. You should expect results last a year, if not longer. When threads are used, results are immediately apparent but also improve over the following weeks.